A film capturing Sammy Hagar’s 70th birthday bash in Cabo San Lucas, Mexico this week will premiere in US theaters on December 5. 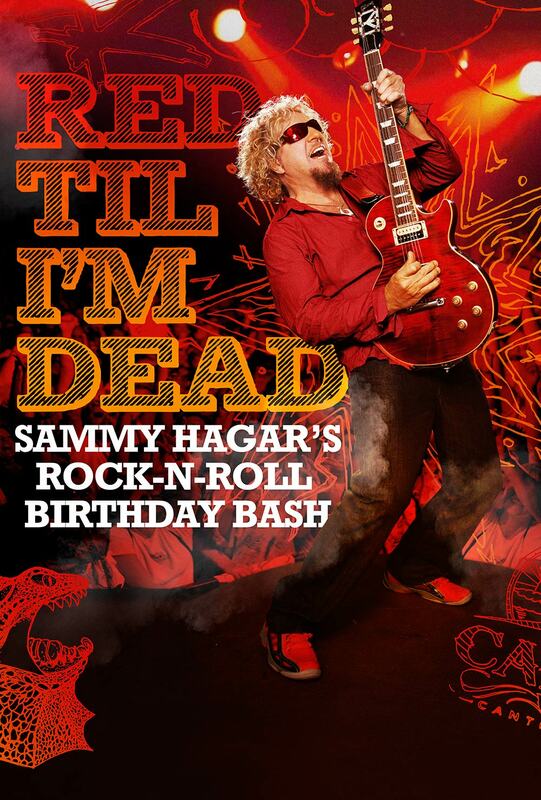 “Red Til I’m Dead: Sammy Hagar’s Rock-N-Roll Birthday Party” will feature the best of the performances, party action and behind the scenes footage from the annual four-day event at the singer’s Cabo Wabo Cantina as he reaches the milestone of 70 on October 13. Special guests on hand to help Hagar celebrate will include Toby Keith, Chad Kroeger of Nickelback, Darryl McDaniels of Run DMC, Eddie Money, Vinnie Paul of Pantera, and the rocker’s bandmates in The Circle: Michael Anthony, Jason Bonham and Vic Johnson. 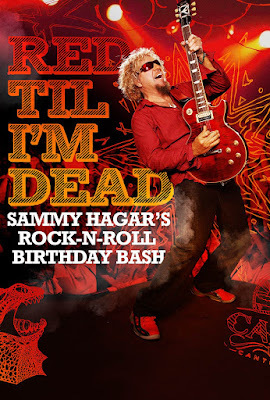 Presented by Fathom Events and AXS, “Red Til I’m Dead: Sammy Hagar’s Rock-N-Roll Birthday Party” will screen in cinemas across the US on Tuesday, December 5 at 7:30 p.m. local time. Tickets can be purchased online beginning Friday, October 27 by visiting www.FathomEvents.com or at participating theater box offices. After spending his early years in several California bands, Hagar made a name for himself with Montrose in the early 1970s before launching a solo career in 1975. A brief stint with suprgroup HSAS – featuring Journey guitarist Neal Schon, former Foghat bassist Kenny Aaronson and former Santana drummer Michael Shrieve – Hagar joined Van Halen in 1985 following the departure of original singer David Lee Roth. Hagar fronted Van Halen for a string of multiplatinum, No. 1 albums before a nasty exit from the lineup in 1996, after which he returned to a solo career with new backing band The Waboritas. The Red Rocker rejoined Van Halen for an ill-fated reunion tour in 2004 in support of a poorly-planned greatest hits package before regrouping with The Waboritas. In 2007, Hagar was inducted into the Rock And Roll Hall Of Fame as a member of Van Halen. In the past decade, Hagar has alternated solo projects with efforts by supergroups Chickenfoot and The Circle.